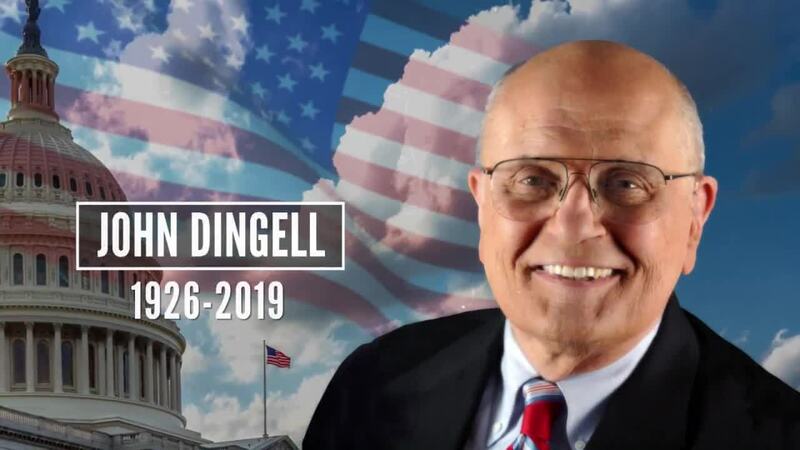 John Dingell, the longest-serving U.S. congressman in history, has died, 7 Action News has learned. He was 92 years old. Dingell represented the people of Michigan for nearly 59 years and was first elected to the U.S. House of Representatives in 1955 and served through the end of his term in 2015. (WXYZ) — 7 Action News will provide complete coverage of the visitation and funeral services of the longest-serving U.S. congressman in history, John Dingell. He was 92 years old when he died in his home in Dearborn Thursday night. "He was a lion of the United States Congress and a loving son, father, husband, grandfather, and friend," his wife, Rep. Debbie Dingell said. 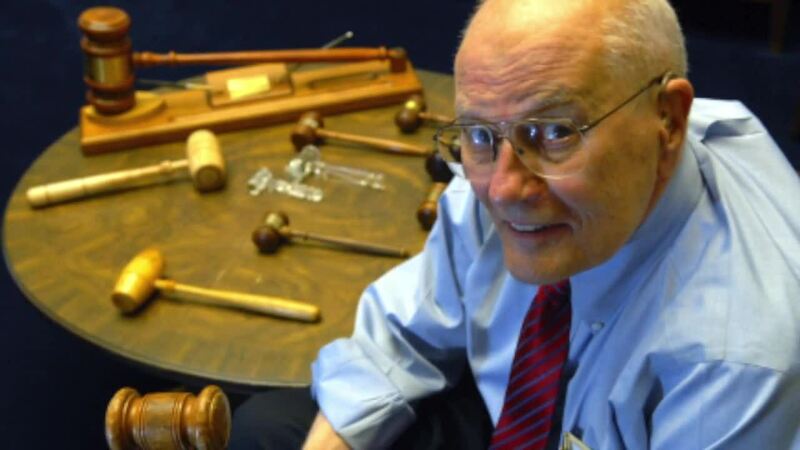 "He will be remembered for his decades of public service to the people of Southeast Michigan, his razor sharp wit, and a lifetime of dedication to improving the lives of all who walk this earth." He was also the chair of the House Energy and Commerce Committee from 1981-1995 and again from 2007-2009. Dingell led investigations that forced the resignation of former Stanford University President Donald Kennedy after it was found they misused hundreds of millions of dollars in federal research funds, the resignation of President Ronald Reagan's first environmental protection chief Anne Gorsuch Burford, and led to the conviction of Michael Deaver, one of Reagan's top advisers, for lying under oath. Chris Dingellm his son, remembers being sent out of town away from his dad - who feared retaliation for his support of civil rights. His dad explained to his young son it was important. "There are certain things that are just wrong. Americans should have the ability to get an education, get a decent job, raise a family have a home have a prospect of enjoying life, building a life for their children, and that kind of thing was taken from many Americans. that was simply wrong," Chris said. His dad brought his passion for the out doors to congress - helping to draft the clean air and clean water acts. Before serving in the Army and becoming a congressman, Dingell worked as a page for the U.S. House and attended the Capital Page School. Dingell, a Democrat, also stepped away from his party and was opposed to gun control and once served as a board member for the National Rifle Association. Later in life, Dingell opposed the NRA. Dingell has not been one to keep silent despite his retirement and has tweeted about President Trump and politics in America several times since Trump’s election in 2016. In a December 2018 article for The Atlantic , Dingell set out several ways Congress can gain Americans’’ trust back. One of those ways, he believes, is to abolish the Senate. "There is a solution, however, that could gain immediate popular support: Abolish the Senate. At a minimum, combine the two chambers into one, and the problem will be solved," he wrote. "It will take a national movement, starting at the grassroots level, and will require massive organizing, strategic voting, and strong leadership over the course of a generation. But it has a nice ring to it, doesn't it? 'Abolish the Senate.'" "John Dingell’s resolute devotion to the people of Michigan and our nation set a high standard to which we should all aspire in public service. We will miss him dearly, but his impact will endure," University of Michigan President Mark Schlissel said in a statement. In his memoir, “The Dean: The Best Seat in the House,” late President George H.W. Bush reflected on his work with Dingell despite being on different sides of the aisle. “Deborah and I have lived amongst you for now, about 40 years, and we’ve lived and loved you. 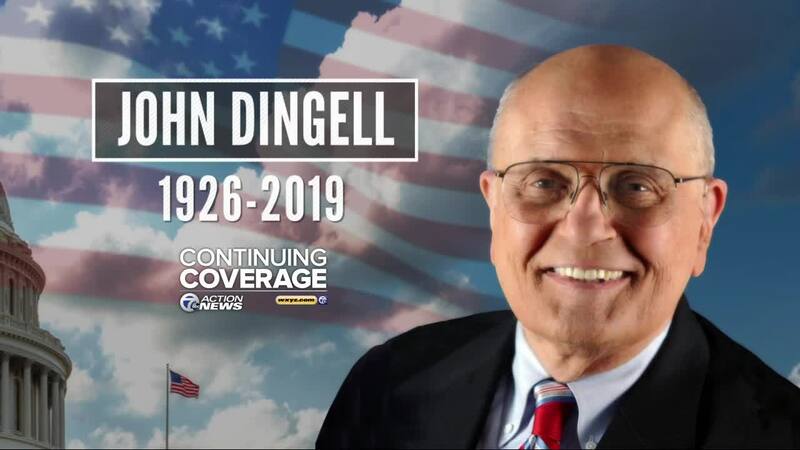 This has been a place that has been full of loving friends whose goodness to all of us Dingells means so much,” Dingell said during his retirement speech. Shortly after, Dingell was awarded the nation’s highest civilian honor, the Presidential Medal of Freedom. “I’ve been able to stand on the shoulders of giants who have taken me in and helped me learn. And I’ve had the opportunity to participate in discussions of really important matters and to make a contribution,” Dingell told Editorial Director Chuck Stokes.